Posted by Argos. August 28th 2015. 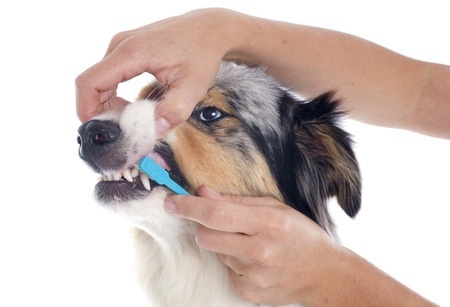 We all know the benefits associated with cleaning our teeth twice a day, but do we take our pet’s dental requirements just as seriously? Unfortunately, that isn’t always the case and the number of dental disease cases involving cats and dogs has been rising steadily in recent years. But why is dental care such an important issue for our pets and what can we do to prevent our pets from unnecessary suffering? 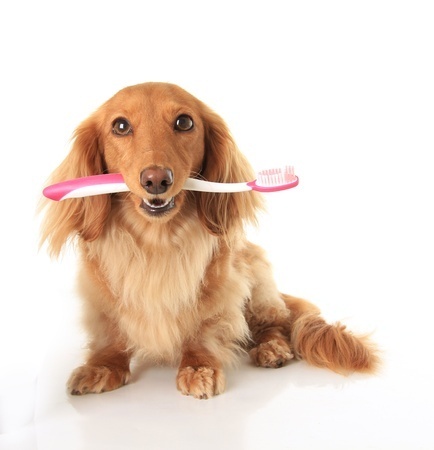 Why is oral hygiene such a big issue for dogs and cats? Many owners wrongly assume pets are going to lose their teeth as they get older. Whilst gum disease is more common in older cats and dogs, a pet’s teeth can last a lifetime – if they follow an oral hygiene routine. If plaque is not removed from the surface of teeth and gums, they can become inflamed or infected within a matter of weeks. Pets suffering from gum disease or tooth decay must be treated as quickly as possible, otherwise they may need to have some, or all, of their teeth removed. However, it is common for our pets to show no noticeable signs they are suffering and they carry on as normal and try to hide the problem. John Robinson, of the British Veterinary Dental Association (BVDA), has 23 years of experience as a pet dentist and believes it is an owner’s attitude to oral hygiene which is the biggest barrier to overcome. He said: “The reality is most cat and dog owners aren’t aware of the dental problems pets can get. “The reason we brush our teeth is to keep our gums healthy, but for humans we also do so to ensure our breath doesn’t smell and that we look good. 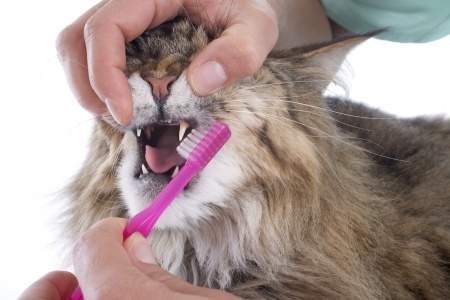 How can you help to clean your pet’s teeth? Brushing your pet’s teeth remains the most effective way to prevent problems and making this part of your puppy or kitten’s routine as early as possible will ensure it becomes a stress-free process later on in life. Mr Robinson, who was a dentist on humans before working on pets, admits it is not always possible to brush a dog or cat’s teeth on a daily basis. But he says daily dog teeth cleaning and brushing should be the aim, as well as using dental chews to keep teeth as clean as possible. He said: “Studies suggest brushing your pet’s teeth once a week is not enough. Realistically, you need to do it – and well – every day for it to be very effective. “The key thing is to build it into your daily routine and make it a daily habit, so that if you do miss a day here or there, it will not have too much of an adverse effect. “Most dogs will let you brush their teeth if you introduce it but, realistically, only a small percentage of cats will allow you to do it. So, which dental chews are good for our pets? According to Mr Robinson, pet owners should look out for products which carry a mark from the Veterinary Oral Health Council (VOHC) as these have been proven to help prevent plaque or tartar on an animal’s teeth. He added: “It can be a bit of a minefield knowing which products to choose as there are so many out there, but owners should look for the VOHC seal of approval. This indicates the product has been independently tested and found to contain some proven benefits.